HMS Scott has docked in Cardiff Bay to join in the centenary commemoration of Captain Scott's ill-fated voyage to the South Pole. 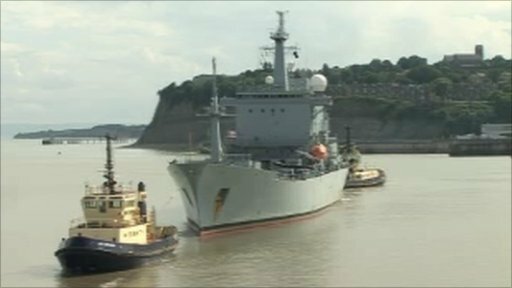 It is the sixth largest vessel in the Royal Navy fleet, and at more than 13,000 tonnes is believed to be the largest Navy ship ever to visit Cardiff. 15 June marks exactly 100 years since Captain Scott set sail from Cardiff.